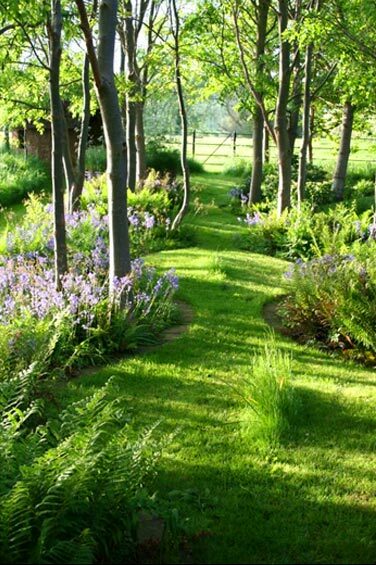 Bunny Guinness, a Chartered Landscape Architect, studied horticulture at Reading University and following graduation went on to complete a post graduate diploma in Landscape Architecture at Birmingham City University. She was awarded a Doctorate by the University in 2009. Bunny worked in private practice for several years before setting up her own practice in 1986. Having worked in Landscape Design for over well over 30 years she has gained a wealth of experience including working on reclamation sites, renovation of inner city housing estates, planning appeals, sheltered housing schemes, pedestrian precincts, golf courses, farm and estate planting , public roof gardens and many different private gardens. In addition to her design work which is very much the core business, Bunny has been a panelist on BBC Radio 4 Gardeners' Question Time since 1998. The questions asked cover all aspects of horticulture and gardening and as there is no forewarning of the questions prior to the recording an extensive knowledge of horticulture and experience is essential! Since 2000 Bunny has also written a weekly column for the Sunday Telegraph. In addition to this she regularly answers questions for BBC Gardeners' World magazine, BBC Gardens Illustrated and has contributed to Country Life, House and Gardens and many other magazines and newspapers. She has also presented, designed gardens for and appeared in many television programs, see 'Media' for further details.